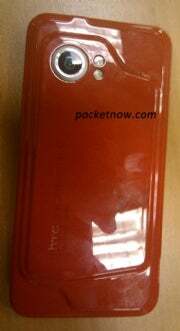 PocketNow got some very unofficial photos of the HTC Incredible, along with word that the phone will run HTC's Sense interface over Android 2.1. An earlier rumor from Engadget Mobile suggests the phone is coming to Verizon Wireless. 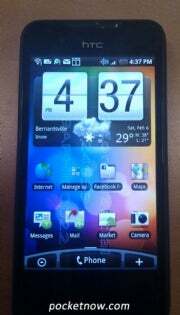 The Incredible packs a couple of the Nexus One's key specs, including a 3.5- to 3.7-inch AMOLED display and a Snapdragon processor. The style is quite different, however, with a flat black face and a layered back side (colored red, in these photos) that seems to mold around the phone's internals. Like the Nexus One, it appears to lack a physical keyboard. ouse pointer, an FM radio and a digital compass. It'll also support 720p video capture and DivX video playback, and will have sound from Dolby. The person who originally leaked specs and photos of the Bravo/Incredible and other 2010 HTC phones believes this could be HTC's flagship model. Looking at other phones in HTC's roadmap, this is clearly the most powerful and feature-rich, and it could certainly stand up to the Nexus One, running the same version of Android -- albeit with a different interface -- with a few hardware improvements. The only question, then, is whether an HTC phone can outdo a Google-branded phone in popularity. If the Nexus One's sales don't pick up, the Incredible shouldn't have too much trouble.